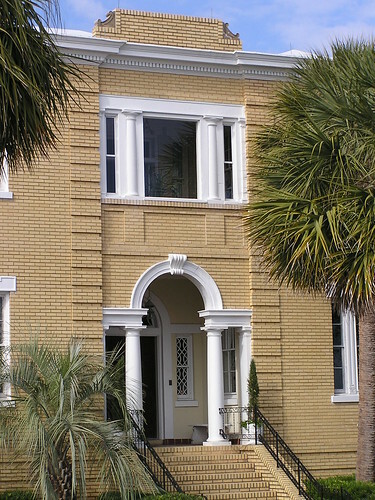 This house at 19 East Battery is located on the site of the Holmes Mansion which was pulled down after it was severely damaged in an early 20th century storm, even though it had survived Union artillery shelling during the Civil War and the Earthquake of 1886. This house is an example of the Beaux Arts influence when it was built before 1920. Architectural details, Charleston, SC. Photo taken 21 November 2010.